International law expert predicts US will pull out of other UN bodies over anti-Israel bias after pulling out of UNESCO. Professor Eugene Kontorovich, Director of International Law at the Kohelet Policy Forum, responded to the decision of the Trump administration to pull the US out of the UNESCO world heritage organization. "The US has quit UNESCO over its long history of anti-Semitic resolutions, culminating in its denial of Jerusalem and Hevron's Jewish history. That is particularly welcome move by the U.S., as the president has not yet fulfilled his promise to move the U.S. Embassy to Jerusalem," Prof. Kontorovich said. He predicted that the administration would pull out of other UN bodies if they continued to display their anti-Israel bias blatantly. 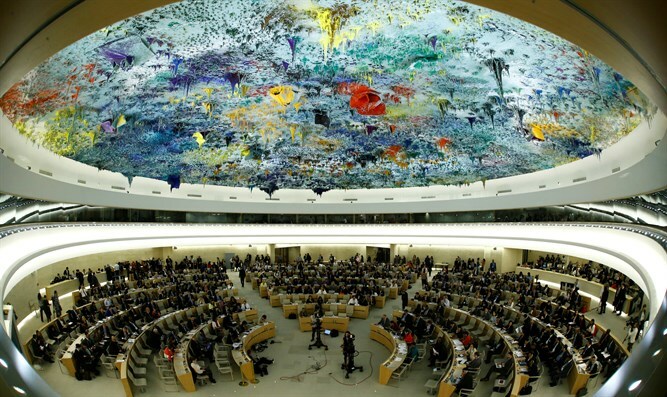 "Also, if the U.S. quits UNESCO over purely symbolic resolutions, it is quite likely to quit UNHRC in a few months when it actually begins blacklisting American companies for their ties to Israel. The days of applying a double standard to Israel seem to be coming to an end. There cannot be one international law applied to Israel and another for the rest of the world."